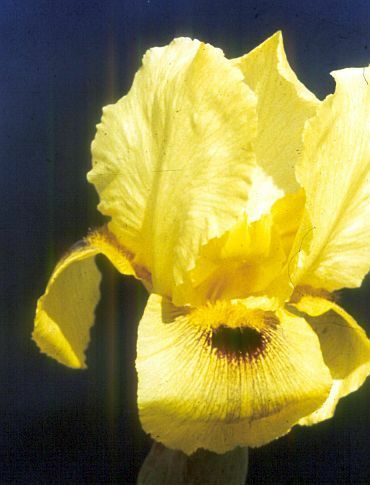 'Desert Buttercup' OGB+ (John Holden, R. 1978). Seedling Hh14a. AB (3/4), 22" (56 cm). Early midseason bloom. Yellow; small red brown signal; yellow beard. (I. auranitica (Tel Jaffna)) x I. barnumae urmiensis) X 'Tatai Pasha'. Aril Iris Farm, 1978.